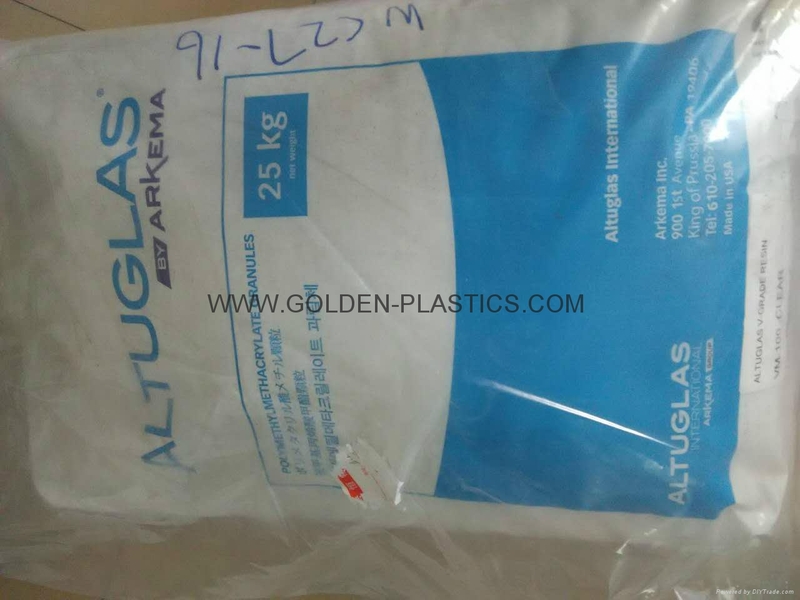 Arkema PMMA Altuglas clear resins. 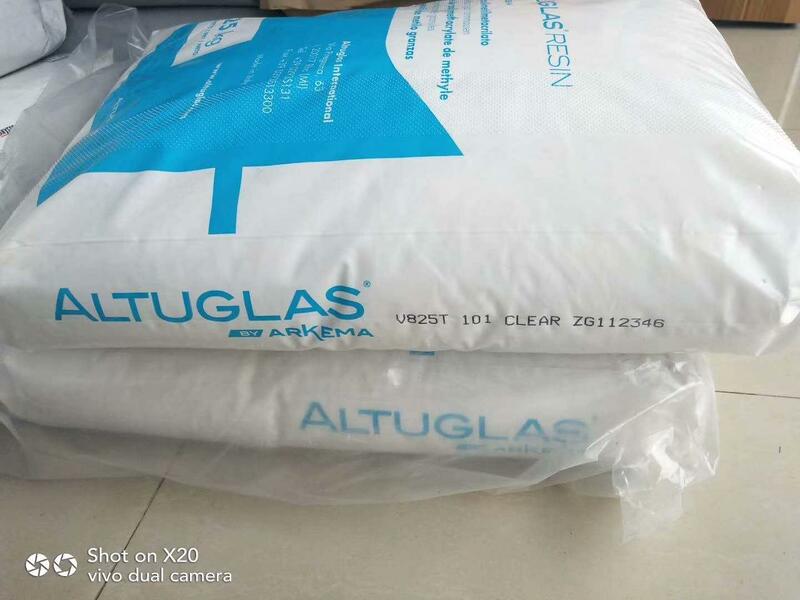 Altuglas characteristics: exceptional optical properties and transparency, easy to machine and resistant (scratch, aging). And for more specifics needs: resistance (impact, gamma sterilization, chemical products), suitability for food contact and medical applications and UV filter. Great optical performances (92%LT/0.5% haze), ensuring crystal sparkle and brilliance even at high thickness. Outstanding resistance to mechanical damage and discoloration by UV rays.Unsurpassed surface hardness (Rockwell M-Scale). Higher heat resistance than impact grades. 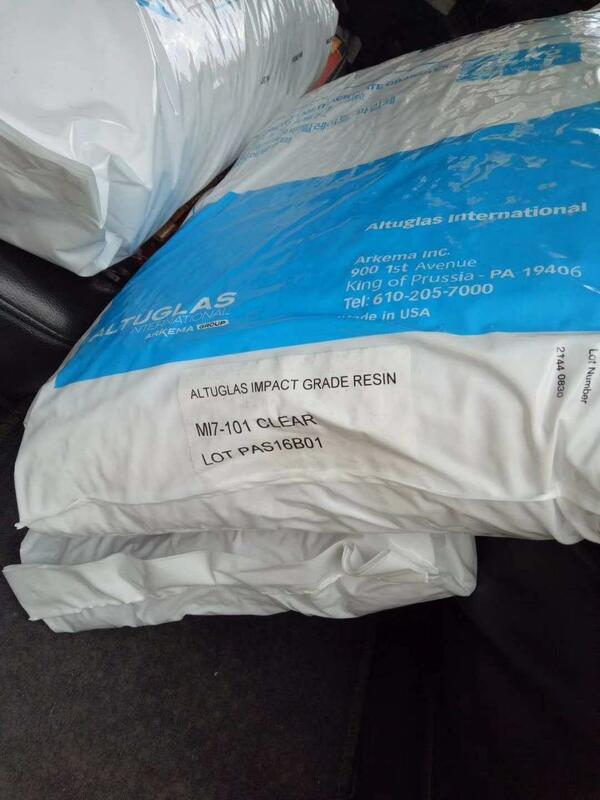 Impact resin for injection and extrusion with resistance to gamma radiation. 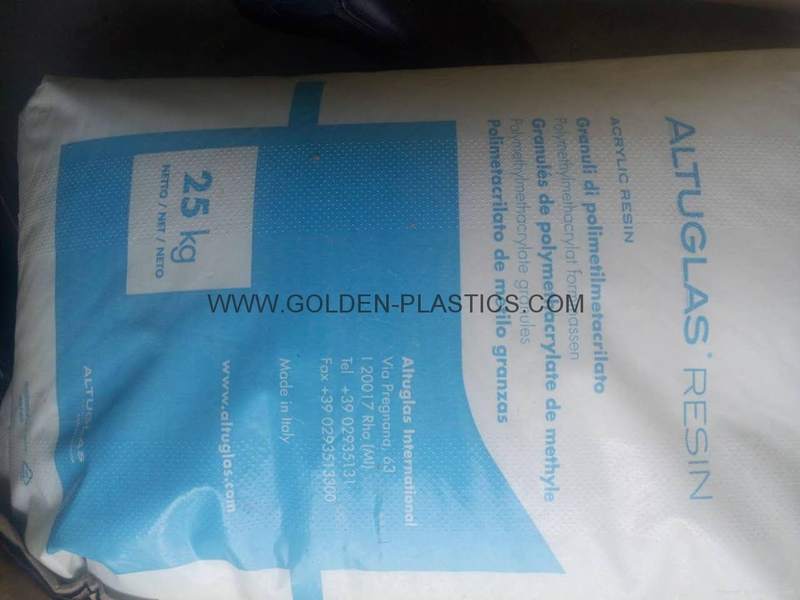 Altuglas(Plexiglas)SG7 impact modified resins will meet some of the toughest device requirements for processing, clarity, sterilization, performance and regulatory compliance. They are engineered specifically for intricate and multi-compartment parts, making them exceptional for applications such as dialysis cassettes, IV components, drug delivery systems, and canisters. 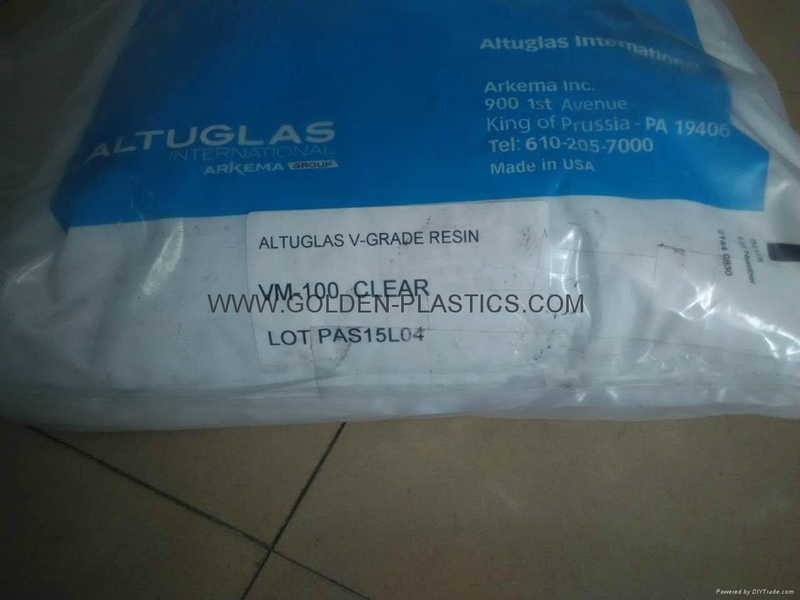 Altuglas(Plexiglas)SG7 meet the testing requirements for USP Class VI,ISO 10993-4:2002 Hemocompatibility and ISO 10993-5:2009 Cytotoxicity.Test results for Altuglas Luctor medical resin are p ending. 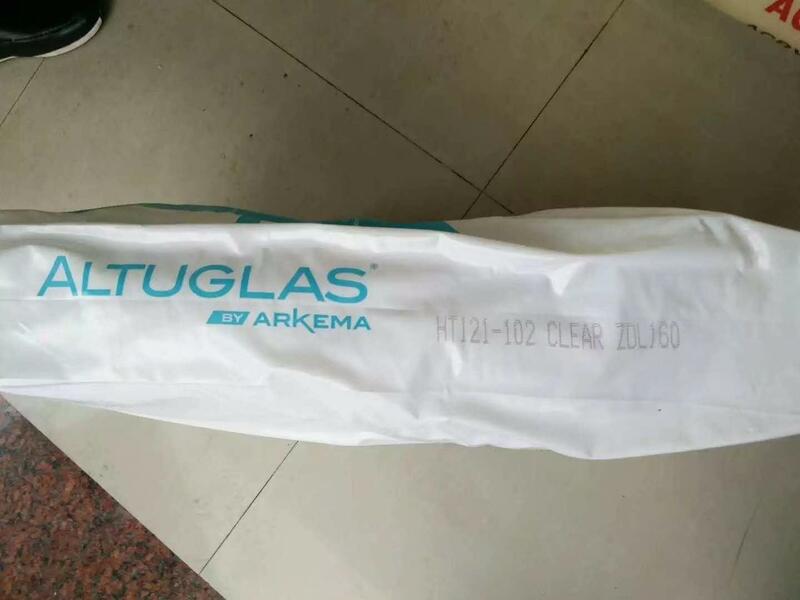 Upon request,Altuglas International will provide its customers with levels of compliance and authorization for device master files established through the U.S. Food and Drug Administration. For further product information on testing performed. 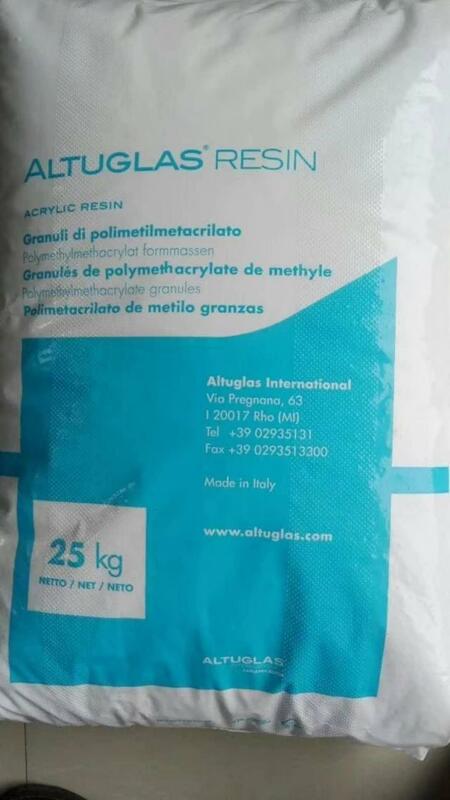 are a family of thermoplastic acrylics for injection molding and extrusion applications. They offer excellent weatherability and optical properties which make them outstanding materials for applications requiring outdoor stability, high-quality surface appearance and/ or precision optics. injection moulding resin offering very high flow but slightly lower heat resistance. lubricated version of VM intended for injection moulding of complex bulk pieces at lower temperatures while maintaining a perfect crystal look. stability, high quality surface appearance and/or precision optics. 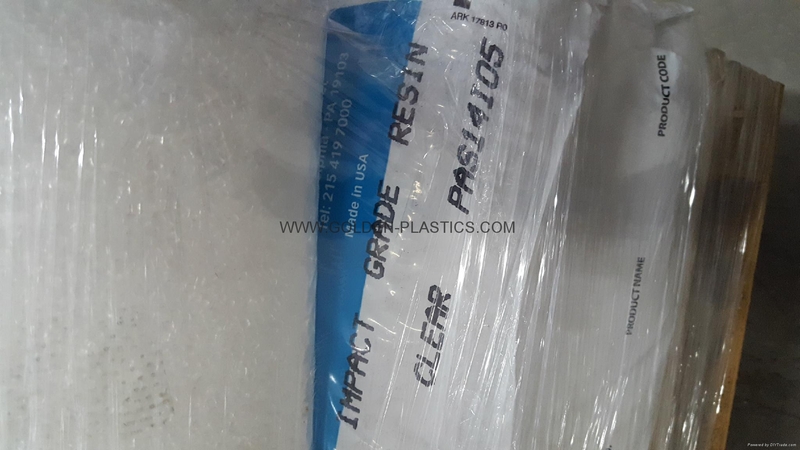 standard, non-impact-modifed acrylic resin. It exhibits medium flow and heat resistance. Allows great optical performances ensuring crystal sparkle and brilliance even at high thickness. Offers outstanding resistance properties to mechanical damage and discoloration by UV rays. Provides an unsurpassed surface hardness (Rockwell M-Scale) and allows higher heat resistance than impact grades. Available in Africa/ Middle East, Asia-Pacific, Europe and Oceania. It can be processed using extrusion and injection molding. 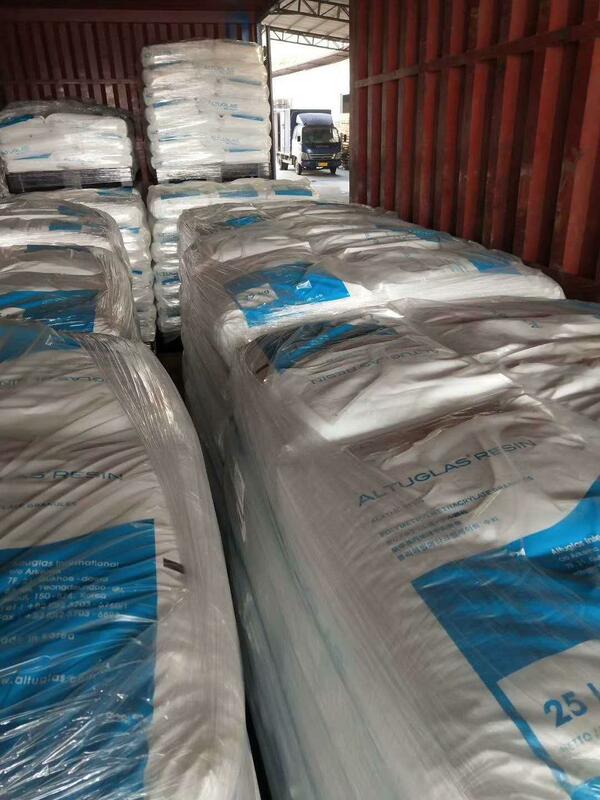 Suitable for applications with more stringent purity requirements. 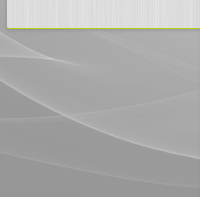 Used in automotive/ transportation and lightings (electronics/ electricals) markets. 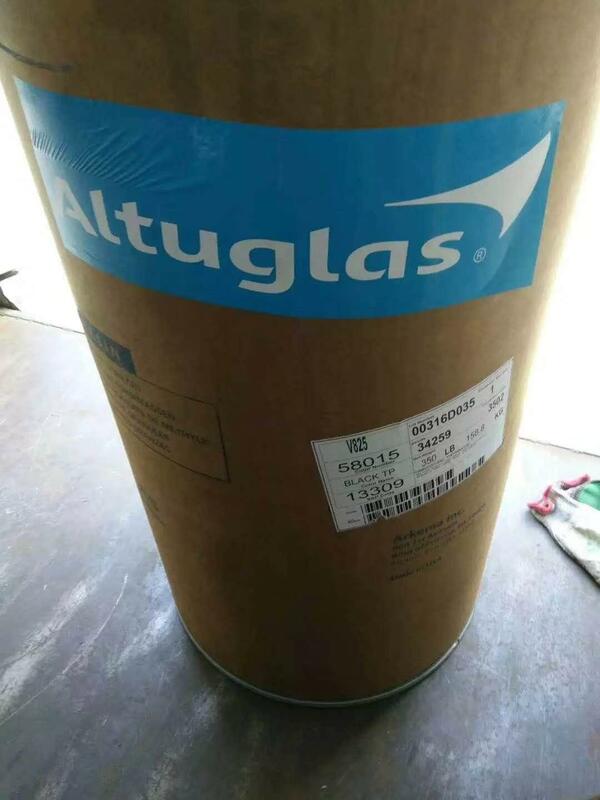 Applications for ALTUGLAS V825T include appliances, fittings, furniture and LED. 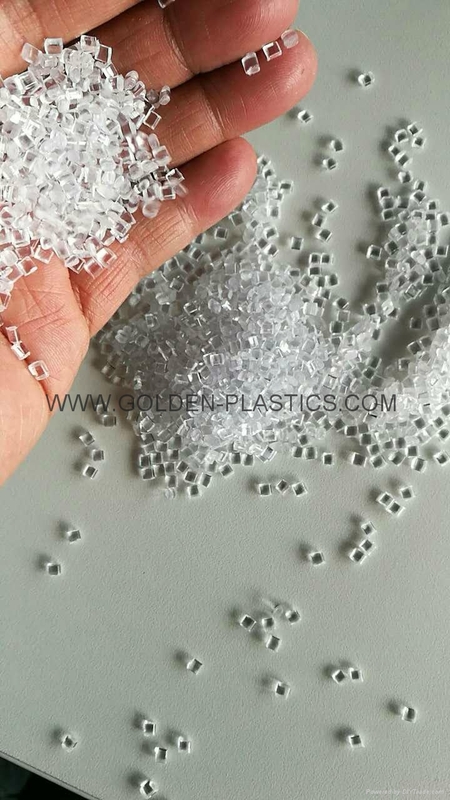 Injection moulding resin with medium flow and excellent heat resistance. 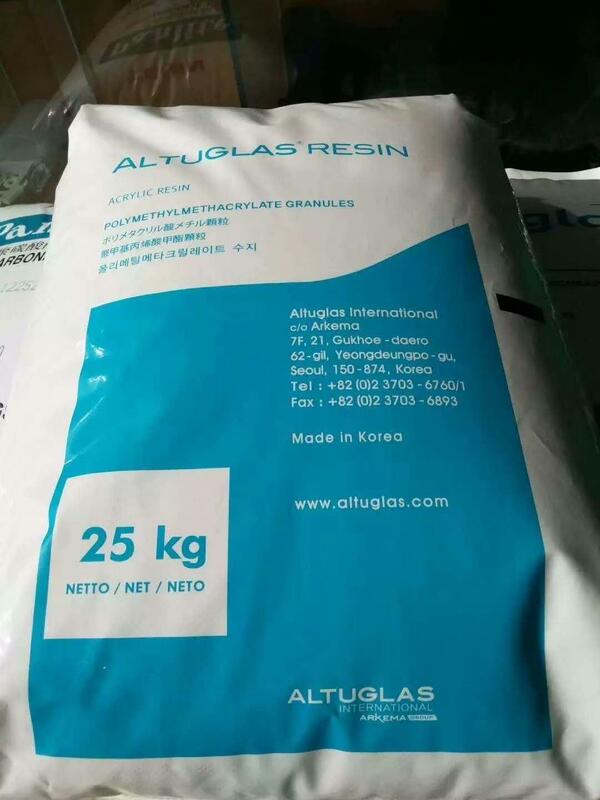 Extrusion resin with high heat resistance. 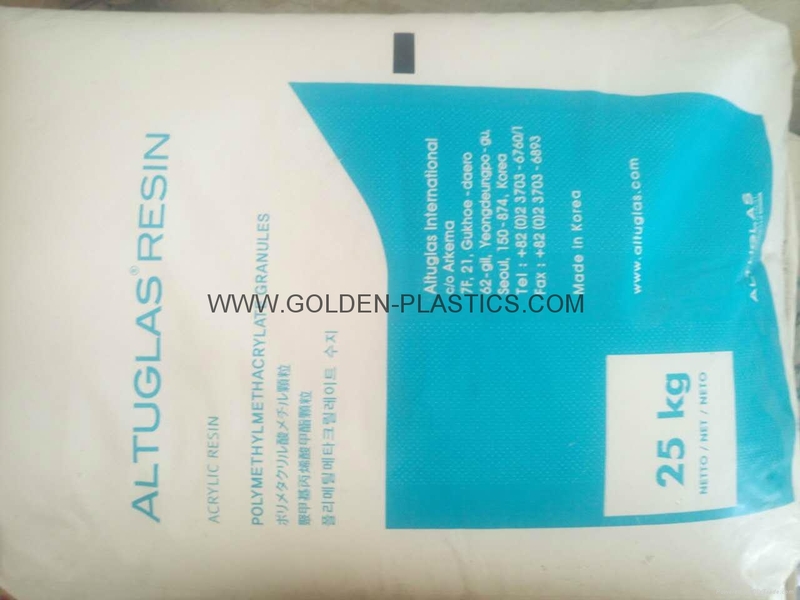 Injection moulding resin with high fow and medium heat resistance. 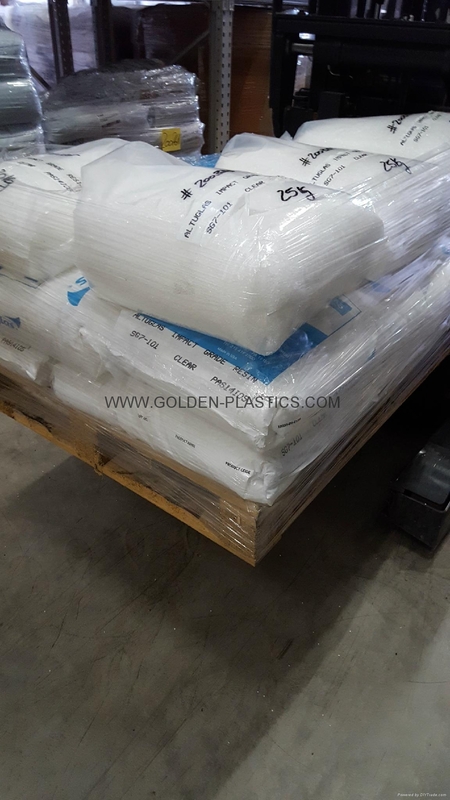 Both injection and extrusion resin with medium flow and high heat resistance. 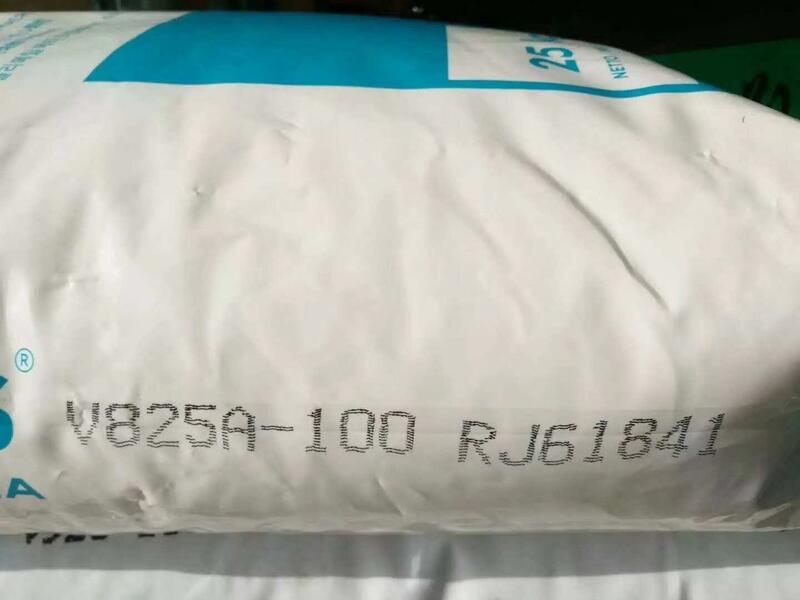 For applications with more stringent purity requirements. 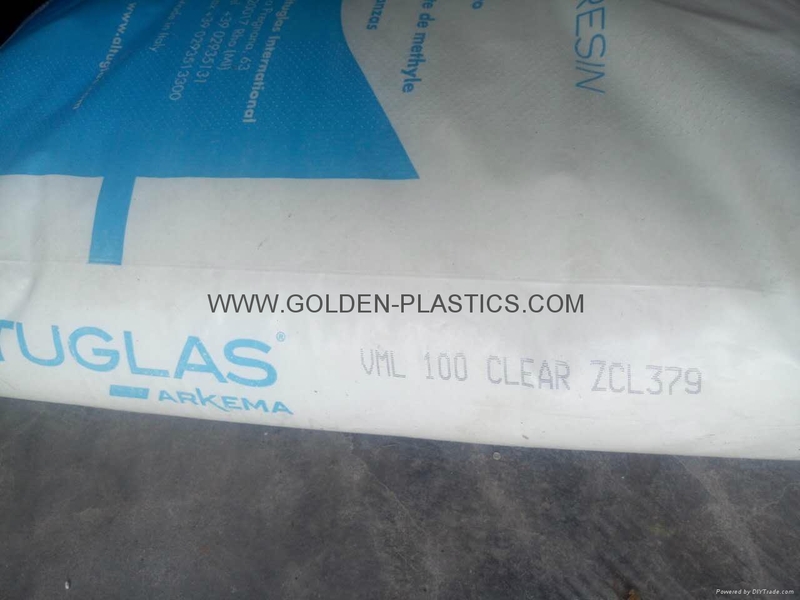 **ARKEMA HAVE 2 TRADENAME FOR ACRYLIC RESINS.